A short while ago, I was approached by Robbie Cheadle, a great blogger buddy of mine, with a request. She is branching out into writing horror fiction – another string to her already impressive bow, wife, mother, children’s author, baker, blogger, financial whizz… and now this too! She wondered whether I may have the time to peruse this collection, which includes 34 short horror stories, perfect for this time of year, and possibly leave a review. And I have to say, I jumped at the chance! I have had the first volume on my TBR pile since it was published, and haven’t been able to read it yet, but I cleared my schedule last weekend and got reading. Alongside Robbie’s tales are stories from other familiar indie authors, many of whom I have followed, admired and read for a while. You will have heard of them, I am sure! It was truly a (spooky) pleasure to read! If you like to be able to dip in and out of a collection of spooky stories at your pleasure, then this is definitely a book for you! 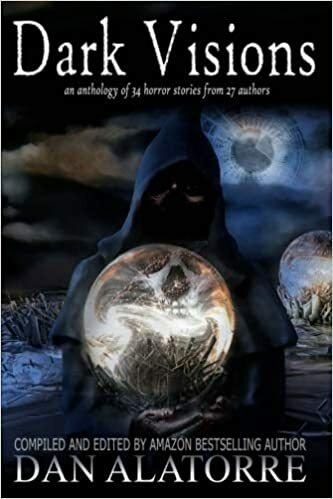 A wonderful anthology filled with various delights ranging from the ghoulish to the gruesome! I especially enjoyed the tale of a troublesome mother who helped her son’s business in a truly bloody manner, thanks to Geoff LePard, titled Ice Cream. Robbie Cheadle’s tale The Haunting Of William was another that left me spooked out! For the record, that William deserved to get haunted! Ellen Best’s entry, The Documentary is a short, sharp shocker too! If I could, I would review each and every story, but that would defeat the purpose of you reading for yourself, so I urge you to take a chance on this fantastic collection of tales, perfect for the month of October, and Halloween! Available to buy on Amazon now! Click here to buy. FLASH FICTION CHALLENGE Haiku Edition – Junk Or TV?? So Judy pointed me over to a little challenge happening on Dan Alatorre’s blog today..
A little haiku challenge , and you know me, unable to resist! Using the generator Dan had embedded, I got this prompt, and had to write a haiku on it! Hope you liked it Dan!